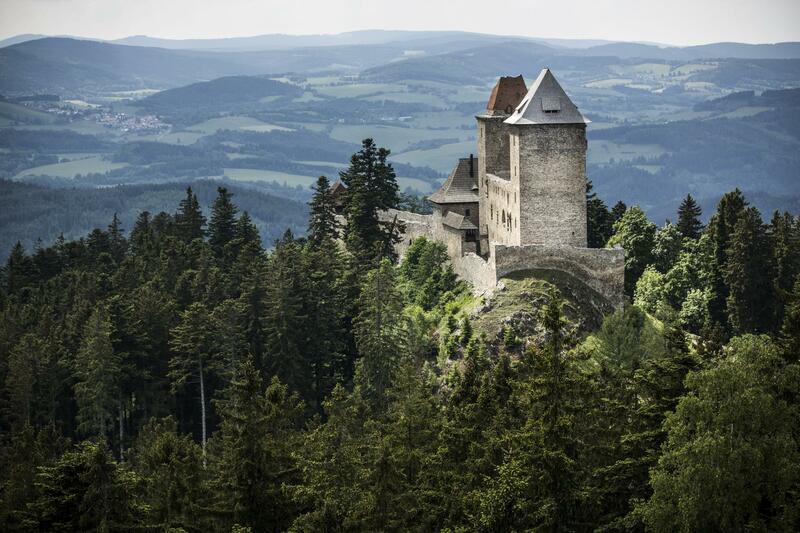 It is a castle on the foothills of Šumava near the town of Kašprské Hory in Klatovy district. 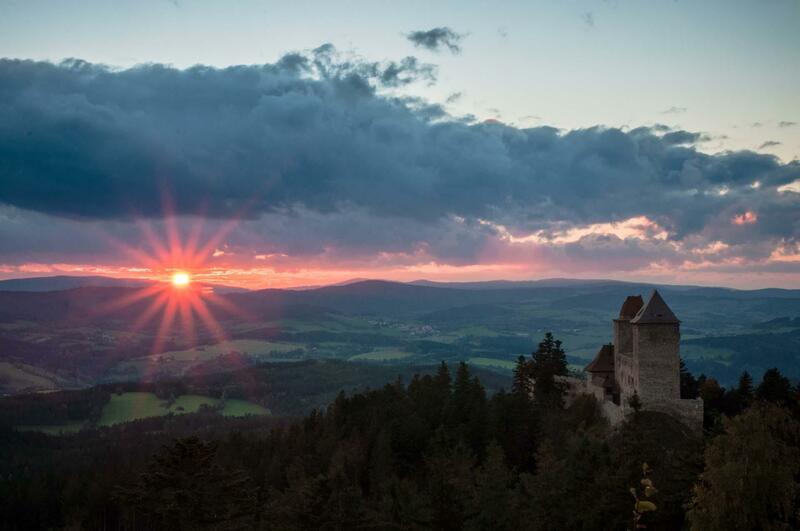 It is situated about 2.5 km to the north-east of Kašperské Hory in the land register of Žlíbek. It is protected as a historic landmark of the Czech Republic. 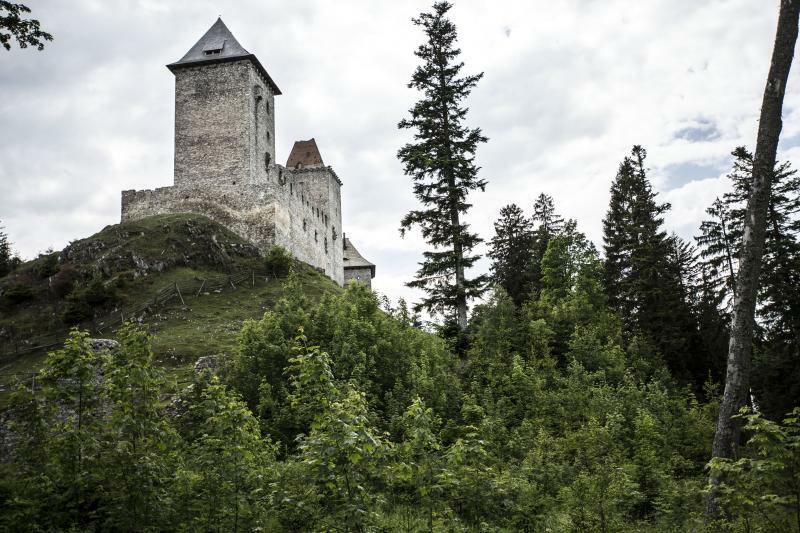 The castle had been deserted since 1616 and therefore the royal chamber sold it to the town of Kašperské Hory, the property and under control of which the castle has been until now. The castle is accessable in several ways. By car as far as the parking lot about 1.5 km from the castle. 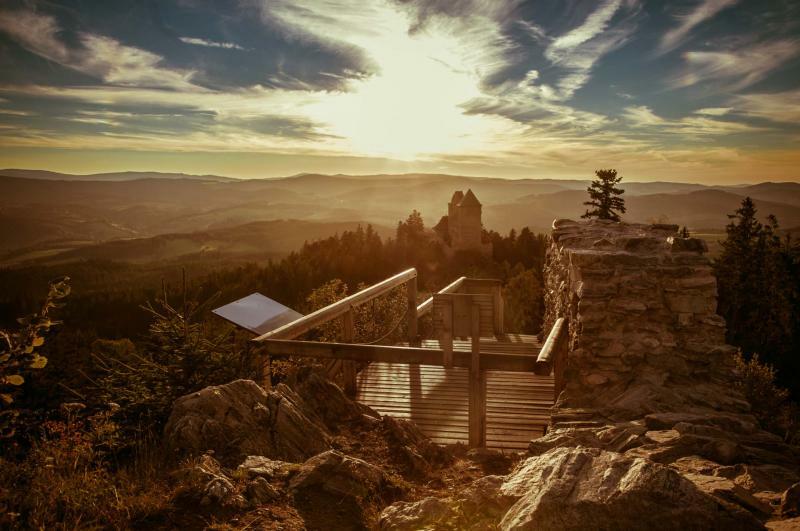 Those who love fresh mountain air and long walks can choose one of the marked tourist routes going straight from Kašperské Hory up to the castle. This possibility is perfect as a short afternoon trip.